Top SEO Trends To Be Aware Of In 2017 | GUI Tricks - In Touch With Tomorrow! 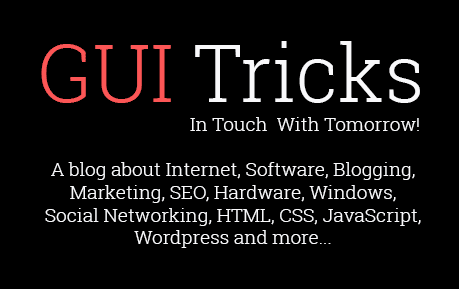 Top SEO Trends To Be Aware Of In 2017 - GUI Tricks - In Touch With Tomorrow! Search engine optimization (SEO) is dynamic and it keeps changing and evolving with time. Since search engines continue to do chops and changes to its algorithms, you just can’t benefit from optimization efforts unless you kept pace. Clearly, you look for ways to be a step ahead of opponents by adjusting SEO and content strategy. 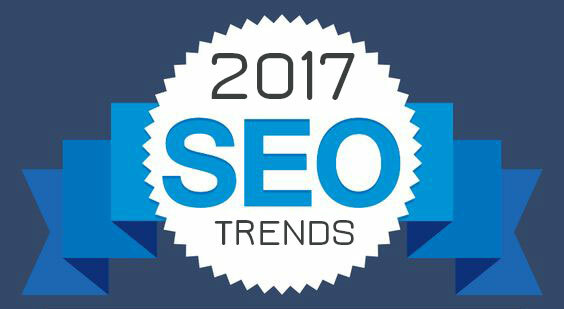 Like any other year, 2017 too will have its fair share of SEO trends which you need to keep a watch on. You must be aware of techniques that are going to be most effective in driving traffic and increasing conversions. Further, in this New Year, you should expect some new trends and speculation to rule the roost in SEO. So, stay focussed on understanding what those new trends are going to be else you might be left behind the in race. Keeping a watch on new trends will definitely be key to leverage your optimization efforts. To do know, you first have to know what is expected to change or what is going to stay intact next year. Your strategy to use the long-from content of more than 2,000 words is going to be equally effective as it has been in the last few years. Such content will continue to produce search engine results purely for the value addition they do to users/readers on the web. They will a solid way to get organic traffic and convert visitors into leads, sales, and revenue. Long-form content or long pieces has been a major tool for search engine marketers for long for the kind of value they produce. They dig deep, go into detailing and enrich users a lot. Nonetheless, they are lengthy stretching readers a lot to get their share of information. This is where dense content may fit in focussing in laying out maximum possible information in the smallest possible space. Your site’s SEO also depends on the kind of user experience (UX) the site offers to its visitors. The focus should be on keeping visitors on the site for longer, giving them more engaging content to access, easing their browsing issues and making them feel enriched. All this is going to stay relevant this year as well helping you cut back the bounce rate and boost conversion. Mobile devices are now the biggest source of traffic and business just can’t ignore them. So, your SEO strategy this year has to keep mobile-first in mind from the layouts and design stage itself. With responsive design and layout, your website will find it easier to target potential users on any devices, including mobiles. So, mobiles should be in focus when you chalk out your optimization strategy this year. When it comes to security, the users of today don’t take chances. After all, they fear of giving away sensitive card data and information to websites not having proper security measures in place. This is where a switch to HTTPS (Hypertext Transfer Protocol Secure) become important for websites to secure the data exchange with users. The switch offers ranking benefits and it’s cost-effective. The level of engagement and activities is growing at a furious rate on social media. From general users to brands, everyone is leveraging the potential of these platforms to serve one or another purpose. Here, products and services are found out by consumers, buyers and sellers communicate and customer support is offered. With brands active on different platforms at the same time, getting more referral traffic won’t be a problem for sure. Voice-based search is still in the nascent stage but its usages are set to shoot up this year for sure. So, typing in or using fingers to search products or services will soon be the thing of past. With Google Home and Amazon Echo, the market has already got a taste of what to expect in coming months and you should be ready for the challenge. Links have been a potent way to gain good rankings and they are not going to go anywhere. So, with more quality links on the site, you can expect to boost ranking and visibility and realize your goals with ease. The focus then should be on producing quality content and giving users enrichment and value so that they get forced to link back and share your link further. In overall, it’d be a good strategy to keep a watch on SEO trends and help your business align with them easily. I am Sid Garg an SEO specialist with 2 years of experience of the domain. I consult and guide brands on planning, execution and implementation of Best SEO Service to help them with rankings and visibility. Currently, I am employed with Mind Digital Group.